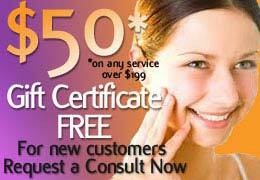 Visiting New Radiance Cosmetic Center of Palm Beach from out of town? While you’re in the area, check out some of the restaurants nearby our spa at Downtown at the Gardens. Below is a brief description of each eatery and a link to their website. Enjoy! This Brazilian-style churrascaria offers diners a parade of meats and an extravagant seasonal salad area. Redefining the traditional concept of a martini lounge, Dirty Martini has an expansive martini list as well as an impressive menu created by acclaimed consulting executive chef Roy Villacrusis featuring inventive dishes not found elsewhere. Yard House at Downtown at the Gardens is an upscale-casual eatery known for great food, classic rock music and 130 taps of imported, craft and specialty ales & lagers. Whether you’re in the mood for a grilled burger and a pint of your favorite beer, or seared ahi and a chilled martini, Yard House has something for everyone. TooJay’s is a fantastic Floridian version of the New York deli. Specialties include signature overstuffed sandwiches, Chicken noodle soup and all the traditional deli classics. RA Sushi is the perfect place to cut loose with friends, toss back a few and enjoy fine sushi. Whatever your mood, RA’s got the perfect mix of sushi, Japanese-fusion specialties, salads, sweets and more. MJ’S BistroBar features a diverse menu with selections from around the globe and American favorites. Located on the second floor, overlooking Center Court, MJ’S BistroBar also features an outdoor bar and hookah lounge, creating the perfect setting for a fun night out. Cabo Flats is your home for a tasty and true Mexican meal featuring the very best tacos, burritos, enchiladas, guacamole, and signature dishes. Cabo Margaritas and drink specials help guests unwind at anytime. Steak au Poivre, Boeuf Bourguignon, Soupe a l’Oignon, Escargots, Pâté, Wine, Bread, Cheese, Espresso, Café au Lait, and more… in a relaxed, informal and casual atmosphere. We are open for Lunch, Brunch and Dinner. A name made famous in Brooklyn, Grimaldi’s offers over 100 years of pizza-making traditions and the tantalizing aroma of pizza and calzones baked to perfection in the signature coal burning oven. The Cheesecake Factory is an upscale casual dining restaurant, offering an extensive menu of more than 200 items, including over 50 varieties of quality cheesecakes and other baked products.